Moving in bad weather is never fun, and is certainly not something we recommend. However, we understand that sometimes time constraints, seasons, and other factors make it difficult to avoid bad weather while moving. If that’s the case for you, don’t worry! We have some tips to keep your belongings safe from damage and keep you and your movers safe as well. The rain can be a tricky element to fight while moving. The most important thing is to keep your belongings dry, or else you risk mold, mildew, and further damage. Plus, cardboard boxes can become weak and damaged in the rain, so with each raindrop, you risk dropping and damaging items more and more. Keep the moving truck as close to your home as possible and keep your furniture and other important items covered with plastic wrap, towels, or even garbage bags. Thoroughly inspect your moving van or truck for leaks before packing anything, and mop up any water that gets into the van as people move in and out of it. Inside your new home, keep towels and blankets on the ground to keep from damaging your new floors, and dry off items as they are brought inside. While the sun won’t affect most of your belongings, it will affect everyone working. Hydrate and keep up with sunscreen, and you should be fine. This can also mean more breaks are necessary, so it may take a little longer when moving while it’s especially hot outside. The good thing is during the summer, you have more daylight hours! There are only a few items that may see some damage due to the sun, so keep an eye on anything that can melt, such as candles, craft supplies, and certain plastics. Try to move these into your van or truck last so they don’t bake in the sun for too long. Depending on where you live (or where you’re moving), winter weather will affect you differently. Up north, you’re used to snow and have the equipment necessary to keep your vehicles safe. If you’re from the south where you may not see as much snow, this could be a dangerous time to move - the potential skidding of your moving van or truck in the snow could mean not only putting yourself in danger, but also putting all of your belongings in danger. If the snow is manageable and there’s no way to postpone your move, there are still a few things you can do. Make sure your driveway and sidewalks are clear with a safe path to and from your house. Use salt or sand to prevent ice from forming and designate someone to be on shovel duty in case snow builds up or the pathway needs to be widened. 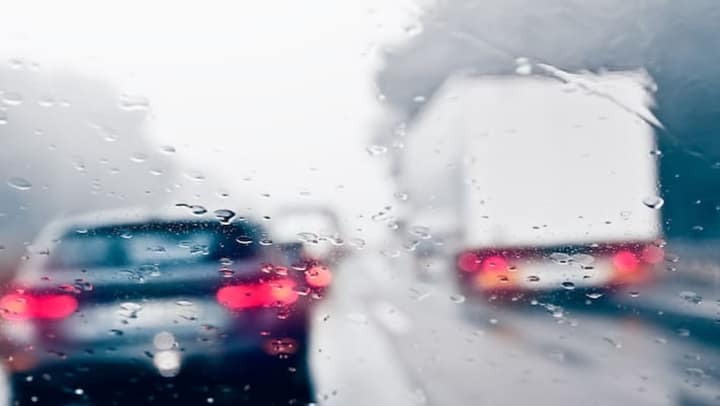 Just like with rain, keep the truck as close to your home as possible and keep your items covered and dry. Once you’ve transported your belongings, thoroughly inspect your boxes, furniture, and other items in order to ensure the bad weather hasn’t done any damage. People often try to save or donate boxes instead of trashing them, but if they’ve been through any type of inclement weather, it’s best to recycle or trash them rather than try to use them again. Any damage from bad weather can weaken boxes and make them less effective. Luckily, you don’t have to worry about bad weather affecting your items after moving if you use a climate-controlled storage unit. We offer storage units to fit everyone’s needs and help during any type of transition. Contact us here to find what’s best for you.